Even as the Delhi High Court sought a response from the Enforcement Directorate (ED) on a plea challenging the detention of high profile ‘corporate lobbyist’ Deepak Talwar, information gathered during his questioning in custody is expected to open a Pandora’s box, exposing close links between bureaucrats, politicians, big business, media and middlemen that has the prospect of triggering seismic jolts in Lutyen’s Delhi. Soon after his arrest — his lawyer Mukul Rohatgi told the court earlier, “Government of India abducted my client” — the ED said that Talwar, who had been brought in from Dubai along with Rajeev Saxena, was required to be questioned in connection with the AgustaWestland VVIP chopper case and the manner in which national carrier Air India gave up profit-making routes to benefit domestic and foreign private airlines. 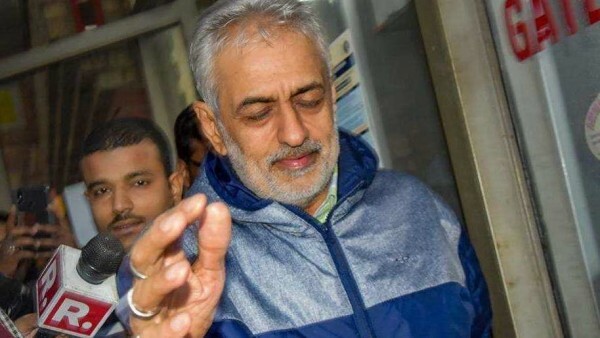 Talwar’s return to India after over 20 months in Dubai, has turned the needle of suspicion towards a number of bureaucrats, politicians and journalists, mainly those connected with civil aviation. These include Ministry of Civil Aviation officials, officials of the National Aviation Company of India Ltd and Air India, who favoured foreign airlines, including Qatar Airways, Emirates and Air Arabia. The key person in the negotiations is said to be the then Minister for Civil Aviation. There are reports that Talwar was handed a hefty sum every month by a key airline operator to identify officials and media persons who could be compromised and help its cause. Talwar’s arrest is likely to unnerve officials and politicians who have been on either side of the political divide because of the uncertainty over what he might reveal. A well-networked man, he started his lobbying career with Coca-Cola and was said to have been close to Ranjan Bhattacharya, the controversial foster son-in-law of former Prime Minister Atal Bihari Vajpayee. His stars grew bright following his association with the then Minister for Civil Aviation. In fact, during those days he was known as the pointman of this Minister. The journalists and bureaucrats on his payroll helped him to stay ahead of developments. In fact, for a long time after the lid blew off on his operations, there was little noise over his escape and that he was in hiding in Dubai — which is being attributed to the pay-offs to people in positions of influence. The deals over an increase in seats to the private domestic and foreign airlines were struck during meetings in Dubai, Sharjah, and Qatar. The discussions with Indian and UAE officials were held for Dubai, Sharjah, Abu Dhabi and Ras-al-Khaima after which there was an increase in the number of seats for the contracting countries. There is an alleged correlation between the networking at the highest level of the power structure and a money trail that investigating agencies claim can be traced back to Talwar once he starts coming out with details during his interrogation. There have allegedly been pay-offs to bureaucrats and media persons and at the root of this are Talwar’s consultancy DTA, an NGO called Advantage India and public relations firm PR. The ED says that between June and November, 2008, Talwar received $45 million in his Bank of Singapore account, and then another $15 million from Qatar and Air Arabia. Talwar is described by the agency as a middleman in the negotiations that helped private airlines get lucrative routes that Air India operated on. The result was massive losses to the national carrier. The pay-offs and inducements to those who colluded in the scam that killed Air India is believed to have continued till the latter half of 2017. The airline has accumulated losses of over Rs 55,000 crore. The government evidently believes it is a lost cause as it allocated a mere Rs 1,00,000 to it as extra budgetary support on Friday triggering rumours that it might finally be privatised. Talwar’s interrogation could well reveal the names of those who took down the national carrier while their pockets were being lined.